NEW CONSTRUCTION! 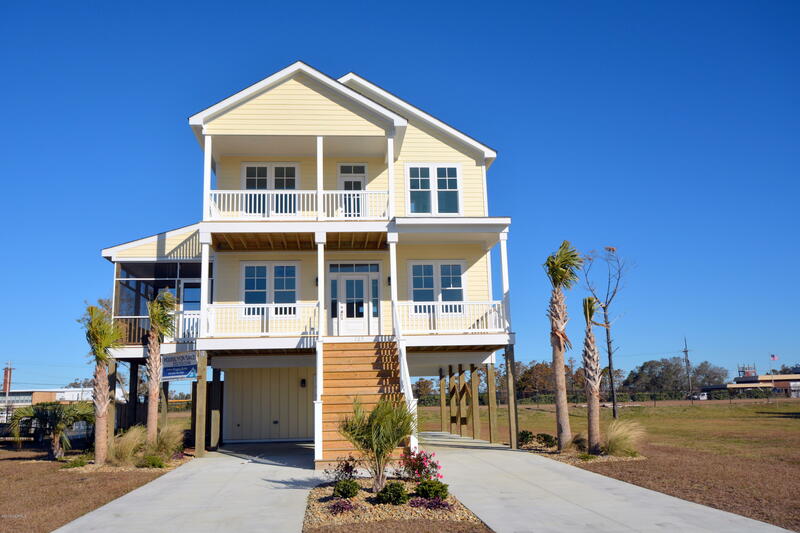 Embrace the island life with this gorgeous waterview home in Harkers Island's newest waterfront subdivision. This beach cottage features open floor plan, screened porch, front covered porches/decks, fireplace, hardwood floors in living areas, tile in baths, carpet in bedrooms, granite counter tops, appliances, and many more features. Ready to make your coastal dream home a reality! Located on Back Sound with sandy beach access (see walkway in pictures), southern exposure and wonderful views of Cape Lookout Lighthouse. Quiet peaceful surroundings. Close to marinas, restaurants, public boat ramp, Beaufort and Cape Lookout National Seashore. See House Plans under Documents. Square Footage based on contractors floor plans.